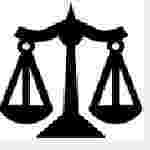 Bombay High Court Clerk recruitment 2016-17 notification apply for 100 Posts : Bombay High court welcomes application for the position of 100 law clerk vacancies on contractual basis at High Court of Judicature at Bombay and its branches at Nagpur and Aurangabad. Candidates who completed their Law Graduate, LLB, Post – graduation in Law is a good opportunity.The individuals who are the occupation seekers searching for govt employments in Maharashtra this is the best chance to apply. Competitors read the official notification then read all the guidelines and miners precisely then apply before the last date online application got. All the interested and eligible candidates can apply online before 30th September 2016. All the Eligible and Interested Aspirants can apply online on or before 30th September 2016. The details regarding this Recruitment, Educational Qualifications, Age Limit, Pay Scale, and Selection Procedure are available at the official website .This is the precious opportunity for those candidates who are eagerly waiting and preparing hardly for Central Govt jobs. age of the candidate should not be less than 21 years and should be up to 30 years. Candidates should have fresh law graduate who have passed the final LLB examination in the first attempt with minimum of 55% marks or applicant processing a post – graduate degree in law. Candidates may apply in prescribed application form along with attested copies of required certificates by speed post to the Registrar General, High court, 5th floor, new mantraliya building, G.T hospital compound, behind Ashoka shopping entre, near crowford market, L.T Marg, Bombay:- 400001 on or before 30th September 2016. Important Dates: Last date for the submission of online application is 30th September 2016.